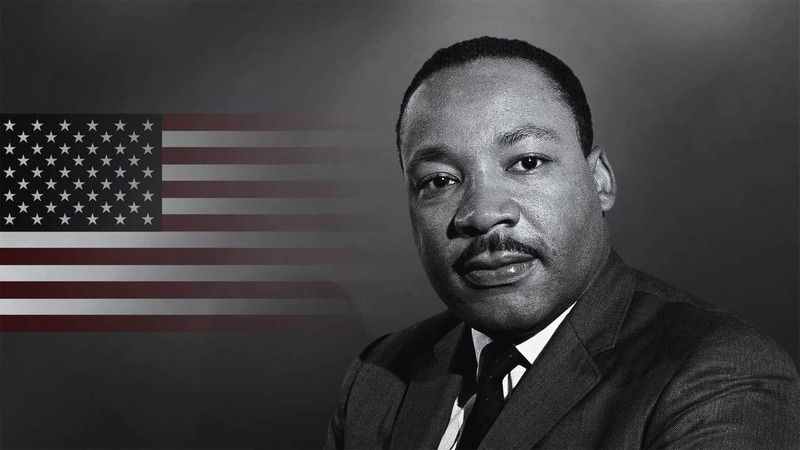 Dr. Martin Luther King, Jr. was a Baptist minister and one of the most impactful Civil Rights activists in the 1960s. He was a leader who believed in nonviolent, peaceful protest to end racial segregation and provide people of all races with opportunities for a better life. Every third Monday in January, we as Americans honor one of the most important leaders of our modern time. This year, take some time to learn about Dr. King’s mission, and discover some ways to continue his legacy in your everyday life. Dr. King’s birthday was January 15, so we celebrate his legacy on the third Monday of his birth month. MLK was all about taking a stand for humanity, compassion, and justice. He discussed these and other values in many of his influential works, like his “I Have a Dream” speech, Nobel Peace Prize lecture, and “Letter from a Birmingham Jail” writings. As a spokesman for the Montgomery Bus Boycott, he helped fight for the integration of Alabama’s city buses. He helped plan the March for Jobs and Freedom, or the “March on Washington,” which brought out about a quarter-million people to the National Mall in our nation’s capital. During this even, MLK delivered his well-known “I Have a Dream” speech. How to Honor Dr. Martin Luther King, Jr. This year, instead of taking Monday, January 21 as just a day off work, use this day to pause and reflect on who you are, what you stand for, and what legacy you want to leave behind for your community. There are many ways—small and large—that you can honor Dr. King’s work this January. Take a look at our list and find ways to continue his legacy in your life. Dr. Martin Luther King, Jr. believed in fighting for the wellbeing of all mankind. He encouraged performing good deeds for his community—regardless of any possible reward. This MLK Day, look for places where you can give back. You can start by donating food or clothing to your local homeless shelter. Or, you can volunteer some of your time at a local non profit organization. Dr. King’s legacy shows us that when we work together and support each other, we can make a better world for future generations. Donating your time is a great way to show your support. It’s always important to know where you came from, so you can better appreciate the progress. Start by learning more about your nation’s history. You can read books about Dr. King from your school or local library—or even do a quick internet search! Visit a museum to explore the work of Civil Rights Leaders. Watch a documentary to learn about the past and what our ancestors endured to bring about the world we live in today. Or, if you have older family members who lived during Dr. King’s time, interview them to hear their experience! Learning about the past can be a great way to put things into perspective about how far we have come as a nation. Because we honor civil rights leader, Dr. King on January 21 this year, it’s important to remember the man who sparked such impactful events. Learn more about his message and his mission by reading, watching, or listening to some of his revered works. Rewatch the famous “I Have a Dream” speech, or spend some time reading and reflecting on other pieces of Dr. King’s published work. That way, you can remind yourself of the original message. It can be a good way to instill some of MLK’s good values in your everyday life. After you remind yourself of the history of Dr. King’s work and his message, then it’s time to continue the conversation. Discuss your thoughts in MLK’s words and actions with your closer friends and family. Ask them what they think about MLK’s legacy. Ask them about some of their favorite leaders who made an impact on their lives. How would someone like Dr. King impact our current generation? What are some issues our society is still having today? What can we do right now to help create a better world for our future generations? Dr. King was all about speaking up for what is right and peacefully protesting injustices in his world. To honor Martin Luther King, we can all learn how to get involved in our society and stand for what we believe in. Become a part of the movement for a better tomorrow. Join your local Civil Rights or social justice organization and make your mark on your community. Giving your time to organizations like these are a great way to get active and help find a solution to many of our community’s issues for obtaining peace, justice, and equality. Do your part to fight for what is right and fair. Defend those being mistreated, and pass on MLK’s teachings of kindness and respect. Be an example to your peers, and see how many will follow suit. Looking for ways to observe MLK Day with your kids? Your children can learn from Dr. King’s legacy, too! Together, you can write letters to your state representatives to remind them of how important it is to keep MLK’s message alive even today. You can also participate in various service events hosted by organizations like your local NAACP. You can meet new people in your community and discuss how MLK and other civil rights leaders have impacted our society by serving their communities in the past. For younger children, there are also many options for books and movies that you can enjoy with your family to spark the conversation about MLK’s legacy, like Martin’s Big Words: The Life of Dr. Martin Luther King, Jr. and Our Friend, Martin. This Martin Luther King, Jr. Day, do something different—something meaningful. Get out in your community and service someone in need. Share love or kindness to someone today. There are many things you can do to pass on MLK’s legacy and show your respect to a fellow human.